This is the first of four guests posts by my friend and co-worker Craig Altrock. He’s a man of God, and I know you will be blessed by his series on Psalm 119. I will be back after his series finishes. 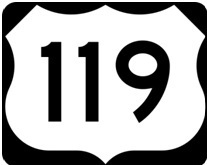 I recently completed a 119 day journey through Psalm 119. I say that not so much to wow you, but simply to say that I finished what was for me a pretty serious commitment. If you’re like me, spending 119 days on anything is significant. Our schedules run so full these days that most of us are fighting just to scratch out a few moments of quiet every few days of the week. I didn’t do a lot of thought on the front end of this exercise, and it definitely wasn’t the product of long and extensive planning. I just felt prompted to camp out in this psalm for a season, so I did. It might not surprise you that I came away with a few observations after this journey. So, as a guest contributor to this blog I thought it might be helpful, to at least some of you, for me to share some of these musings prompted by Psalm 119. I’ll stay pretty general with this post and then get more specific in future ones. There are levels of spiritual understanding and experience you only gain from consuming God’s word slowly and deliberately. For many of us, Scripture reading is something akin to a visit to the drive through window of a fast food restaurant. We may do it regularly, but we accomplish it as quickly as possible– chew, swallow, slurp, done. But to truly stop and savor the word– this is an altogether different experience. The psalmist says, “How sweet are your words to my taste, sweeter than honey to my mouth” (119:103). As with fine food, there are certain flavors, textures, and nuances that we only experience when we slow down enough to actually taste the word we are consuming. This moves us past the reading of Scripture strictly for information and into the realm of reading for formation. Soaking in one piece of Scripture teaches us the value of engaging God’s word in creative ways. One of the plain hard truths about camping out this long on one psalm is that if you don’t get creative with your approach, you might get bored! There are only so many times you can read the same piece of Scripture. So, while I did in fact read through the 176 verses of this psalm many, many times, I was eventually pushed to read it in other ways. For example, while I’ve not done much before in terms of Scripture memorization, I found great joy in memorizing pieces of this psalm. While I’ve not used Scripture to form the words of my prayers much in the past, I discovered new vitality in allowing pieces of this psalm to voice my response to God. Though I don’t journal as much as I’d like, I uncovered wonderful insights from writing my own version of this psalm, one stanza at a time. Well, you may not want to commit to 119 days on one piece of Scripture, but I bet you could take one week and pledge to read the same passage every day that week. If you do that this week, I’d love to hear what YOU learn! Craig asked a small group of us to do this as a devotional activity together recently in Burundi. It was a great encouragement to hear others share the 8 verses they crafted on the shores of Lake Tangyanika! Thanks Alva. The entire psalm is 22 stanzas, each stanza with 8 verses. Each of the stanzas starts with a letter of the Hebrew alphabet. So, it would be like you writing a psalm where in the first stanza each line started with an A-word, then the next stanza would have 8 lines that all start with a B-word, etc. Actually this is a pretty rich activity to try! Thank you, Craig, for the challenge. I haven’t heard of this one before. I have the NIV on my IPhone. Question, oh Scholar: What is the meaning of the words of the different sections.